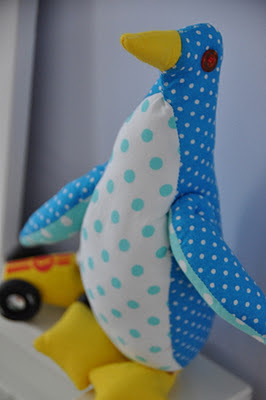 I found this amazing Blog called Purl Bee. It's my first attempt, a bit fiddly, but none the less rewarding. 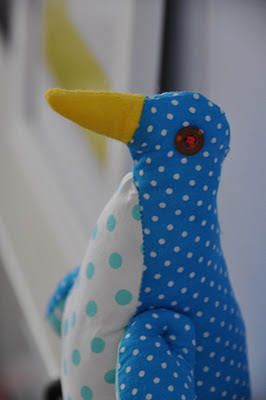 On the blog, they made various ones using monochrome black and white material (which looks great), but as I had some leftover scraps of material in my fabric drawer, I though I'd be a bit unconventional and make a blue Penguin.